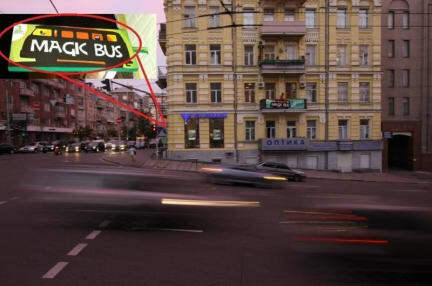 Magic Bus Kiev kohteessa Kiev, Ukraina: Varaa nyt! Let me show you our hostel. 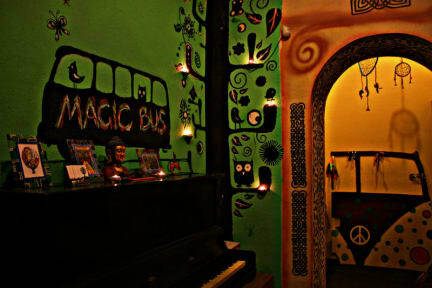 This lovely place is named Magic Bus Kiev, we called it after the movie 'Into the Wild'. I hope you like this film and as you are searching for a place in Kiev - you're fond of travelling. You know, Hostel is not just a place to spend night - it's different philosophy of travelling and lifestyle, it's ideal way to find friends, share your travelling ideas, find companions for your future trips around Ukraine and outside; sometimes hostel could even be the beginning of your romantic relations, if you need some. We offer you a place where you can relax from travelling impressions, stay in a cozy friendly atmosphere and soak up modern Ukrainian way of life. -Or you're welcome to pick up our spacious 12 bed dorm, which has air-conditioning, separate balcony with a hammock and reading light on every bed. We organized a lovely common area for you, where you can read, play board games, listen to music or simply chat in the candle lights. And of course we have everything you might need after the road : iron, hair drier, laundry service, different phone and lap-top charges, book exchange and plenty of travel advices. -NO extra payments, taxes etc. -NO bad mood and gloomy days! Cash only accepted as payment upon arrival. We now also accept cryptocurrencies.